A very warm welcome to the start of the 2019 academic year. Once again our community welcomes a large number of new families into it. I hope for all new families, in particular the students, that their association with the Middle School is a rewarding and successful one. I trust each of you had a wonderful holiday break and enjoyed special time with friends and family, with the girls returning refreshed and ready for the busy year ahead. The first weeks in Middle School are an exciting time for students but bring changes that can be stressful as they transition from the familiarity of their previous school experience to the next big phase of their educational journey. New students have to adjust to an unfamiliar environment, meet different teachers and make new friends, boarders return from afar with not only their school books, but also their pillows and clothing while all students and families have to re-establish routines. Under the guidance of their Heads of Year the girls have commenced the school year in a very positive manner. Heads of Year are responsible for the pastoral care of the girls in their cohort. I encourage parents to keep their Head of Year informed of any issues or concerns as this will enable the School to better support their daughter. In order to help create a seamless transition we offer a number of programs which enable the girls to develop positive relationships with others. Thrive Connect (TC) groups are House-based and consist of a small number of students, who meet twice a week with their TC tutor. This allows for individual and small group relationships to develop between staff and students, thus providing opportunities to promote positive interactions and build a learning community. New students are supported by their buddies and their Thrive Succeed (TS) teachers as they adjust to their new routines and relationships. The year is shaping up to be full of opportunities for students. Involvement in co-curricular activities encourages participation and accommodates students’ interests that can augment academic success and enhance self-confidence, as well as enriching and building the community life of the School. 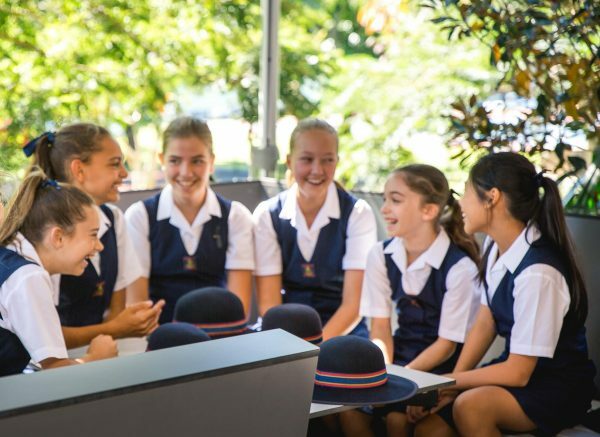 House events such as the Swimming Carnival and So You Think You Can Dance and Sing (SYTYCDS) are an integral part of our School culture with students expected to support their House through attendance and participation. Encouraging your daughter to get involved can have many benefits. It allows her to discover her passions and strengths, to become better connected to the School as well as building a sense of community. Time away from everyday tasks can be remarkably restorative. The start of a new year provides an ideal time to reflect on where we have been and where we are heading. Last week Year 9 students embarked on their learning journey with sessions from Elevate Education which aimed to prepare the girls for their academic studies. They were engaged in explicit learning activities which focused on goal-setting and strategies to achieve those goals; emphasizing the expectation of high academic rigour and endeavour. 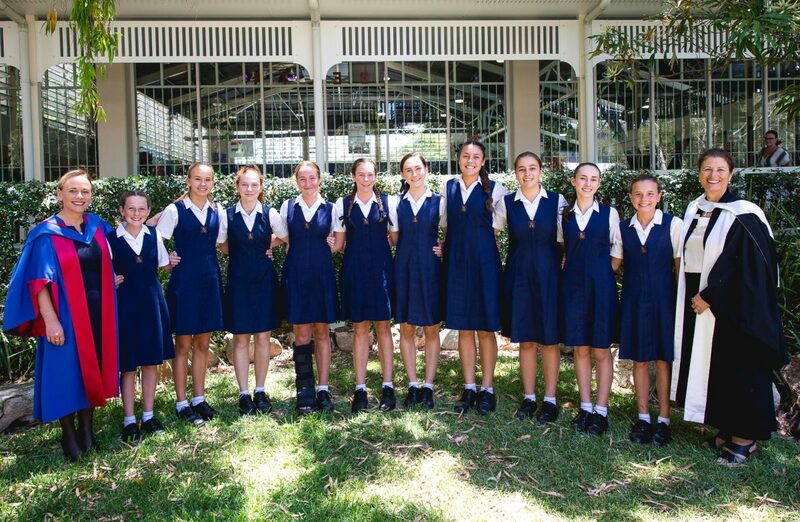 The elective program in Year 9 allows students to explore their interests through a range of subjects. Some students may find that their choice of elective is not suitable after beginning the course. In such circumstances, students are permitted to change provided there is a place available in the subject they wish to change into, and the request is supported by parents in writing. This needs to be finalised by Wednesday, 13 February. The outdoor education is a key component of the Middle School curriculum. Later this term the girls will head off to different locations for Challenge Week. This program provides them with a range of thoughtfully planned experiential learning opportunities in safe, supportive environments. Parent Lounge allows parents to view detailed excursion information, including risk management and medical records. It is essential that parents log on to Parent Lounge to complete and submit the medical information and ‘accept’ the excursion. Lost property can cause anxiety for some girls and is of concern when items are not clearly named. We would appreciate parents taking the time to ensure that all of their daughter’s belongings, including uniforms, are clearly labelled (a permanent marker or laundry marker is an easy way to identify belongings). Students are required to have a padlock to use on their locker to keep their belongings safe. Many students find it easier to use a padlock with keys. The padlock needs to have two keys, one of which we will keep in the Middle School Centre as a backup should the need arise. 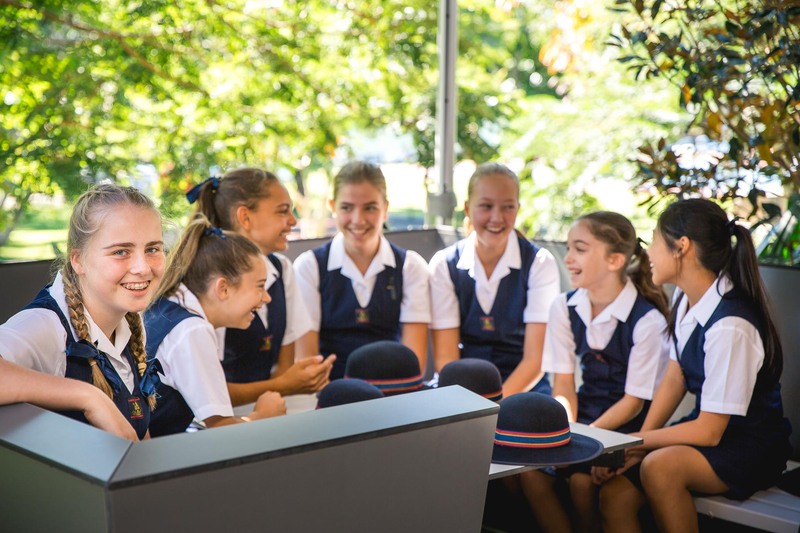 I would like to share with you an email from our School Captain, Emily Dougherty, who reached out to welcome and connect with the Year 7 girls sharing some of her top tips for a successful and exciting journey into Middle School. Welcome to Middle School! My name is Emily and I am your School Captain. I can’t wait to meet you all! I trust you have all had a great holiday and are back and ready to kick start the big year ahead. I thought I would give you seven tips for a fantastic year seven. Keep organised – I put this tip first because I think it is exceptionally important to stay on the ball in Middle School. This includes frequently checking your emails, using your School Diary to keep on top of homework and co-curricular activities and making sure to bring anything necessary to the day (e.g.. Sport uniform if you have PE). Involve yourself – Joining co-curricular activities is one of the best ways to meet new people, show your School spirit and most importantly have a bit of fun! Whether its joining one of the summer fixture sporting teams, music ensembles or any of the other great groups within the school I promise it will help you settle into things. Remember there is no harm in trying something. If the first thing you try is not for you then try something else! Be open to making new friends – This year you will find there are a lot of new girls joining your year level. Make sure you are looking after each other and try to be open to making new friends! Don’t be afraid to ask questions – This one is absolutely vital. Girls, if you’re unsure about something in or out of the classroom its so important to speak up and ask. Sleep and eat well – Year 7 is a step up from Year 6, but in saying this it is so important that you are still getting enough sleep to function in the morning and eating healthy foods that will power you though these busy days! Find a good study space and routine – The workload this year is going to be harder than any year you have had before. In saying that, if you find a place that is free from distraction and where you work well, I trust you will be able to crush your tests and assignments. With homework, always try to do it the night you get set it. For assignments and studying for tests, if you do a little bit each night it will save you the stress later on and help you not to cram the night before. Have fun! – This is by far my greatest tip. Year 7 is so much fun, so make sure that you are leaving time to do that. Lunch time is such a great time to spend chatting, laughing and playing with your friends so make sure you put your phones away and enjoy the exceptional company around you.